« Can the Colts Bring Revenge To the Texans On Monday Night? According to Michael Lombardi of NFL.com, the Minnesota Vikings have recently released wide receiver Randy Moss. In last night’s press conference, Moss should a lot of hatred towards the media. Overall, the conference was very controversial, as he kept saying so many positive things about the New England Patriots, as if he wanted to return to the team. Lombardi told NFL Network that Brad Childress told the whole the team that Moss was going to be waived before telling his star receiver. Moss was recently acquired by the Vikes for a third-round draft pick a little less than a month ago. This comes as a huge disappointment to me that the Vikings would do this. Moss was doing pretty good already and it wasn’t his fault the Vikings were losing. The Vikings have now wasted a ton of money and a third-round draft-pick. Now they sit at 2-5, set for something worse. According to Lombardi, the Indianapolis Colts could pick him up on the waiver wire. 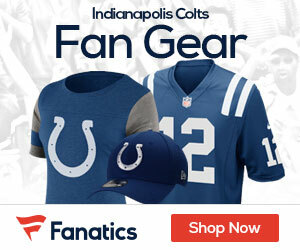 The Colts seemed to be interested after the injury to Dallas Clark and that Austin Collie will be out for a few weeks. Now the Colts can have a deep threat they haven’t had for a long time since Marvin Harrison, who was also a possession receiver. Jason La Canfora tells NFL Network that the Colts are an intriguing possibility. For the Colts, I say go for it. They missed out on a chance of getting him the first time when he was available, but ended up on the Patriots. Then they had a chance of going for Terrell Owens, but failed. Now Owens has been doing pretty good thus far with the Cincinnati Bengals. The Colts could really use him and can have five solid receivers with them. This would give Indiana huge advantage. Another reason Indiana should go for Moss so they can win games. Peyton Manning has never had a true deep threat like Moss is. Moss can have his motivation boosted up by being on a team like the Colts. With Moss, Reggie Wayne, Collie, and Pierre Garcon in, this could also definitely help the running game as the defense will be very distracted. Along with that, the Colts are standing in third place in the AFC South. Using Moss could help them get past in the division. The Colts have to go for Randy Moss. Moss will be placed on the waiver wire in a few hours or so. Any team has 24 hours to acquire him. Please, Indianapolis, go for him. NO WAY! Moss is too detrimental. I cannot imagine him hugging or commiserating with the Pats after our game with them. The Colts will find a way to win, Moss is poison. The hatred of New England burns in every Colts fan’s blood. No way does anybody here want a.. distraction like Moss in our locker room. I don’t care how good he is – and he is very, very good – he’s not the type of person we want on the field in blue and white. The last two post are stupid. Moss has always played well with good qb and well… Peyton is the best. Colts would be lucky to get him.